Time to grab a blanket or deck chair and head to Elizabeth Park for a very special event. Cinema Pop Up is coming to Ararat this summer and is free if you book online now. Ararat Rural City Council in conjunction Mix Tape Media is bringing Cinema Pop Up to town on Thursday, November 30 (Elf, PG); Friday, December 1 (The Lego Batman Movie, PG); Saturday, December 2 (Pitch Perfect, PG) and Sunday, December 3 (Dodgeball: A true underdog story, PG). The pop-up roadshow will feature food trucks, frozen drinks, popcorn and a bar, and encourages families to come along early, get a good spot, and set up with blankets or hire some bean beds for a picnic before the movie kicks off. Tickets are limited and available for free when booking online, or at the gate from only $10 for adults and $5 for children. Gates open at 6pm each night. 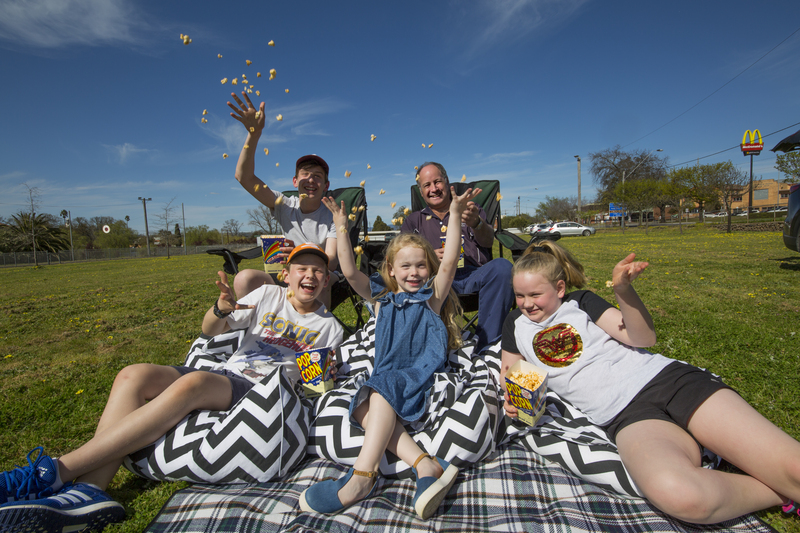 Ararat Rural City Council Mayor, Cr Paul Hooper said Cinema Pop Up would be a fantastic four-day event, providing the community and visitors the opportunity to enjoy good entertainment, food and cinema experience in an outdoor setting. “It is great to see a new and professionally run event like this being attracted to come to Ararat,” he said. Cinema Pop Up is supported by the Transport Accident Commission (TAC), Toyota and Prime Super. “Supporting community events is part of Toyota’s DNA and the team at Stawell Toyota are incredibly proud to be supporting this event in Ararat,” Toyota Regional Marketing Manager, Jeremy Watson said. TAC senior road safety manager Samantha Cockfield said Cinema Pop-Up is a new way for the TAC to get its road safety message into regional Victoria. "Victorians are four times more likely to die on country roads so we're always looking for new ways to help country Victorians get home safely, every time they get behind the wheel," she said. Cinema Pop Up is the largest outdoor regional cinema operator in Victoria, with pop ups running throughout regional Victoria all summer. Cinema Pop Up Director Kate Hardwick said organisers were excited to bring an event of this calibre to regional Victoria. “These are the types of experiences you’d traditionally only be able to access in metro cities, however we understand and value the importance of local communities,” she said. To book your FREE tickets and for further information, please head to www.CinemaPopUp.com.au.